Part 3 of this “2013 sucked” series and I am writing it a whole 1 1/2 months after Part 2. I would say I am sorry it has taken me so long since my last post, but I am not. haha. So much LIFE has happened since then. So much change settling in the air around me like a dense fog so that finding my way to actually sit and write in this blog was easier said than done. In Part 1 of this series, I explained that 2013 sucked because it was a year of so much unending struggle for me. Aside from struggles at work, struggles with coworkers, struggles with finances, and struggles with family – my primary struggle to get pregnant left me feeling like less of a woman, less of an adult, less of a contributing member of society, and less of a person overall. Something in me is broken and 2013 was the year I felt every single ounce of that brokenness (and not the “good” kind of Christian-ese brokenness that is desired, but the genuine I-no-longer-know-what-to-do-with-myself-and-I-seem-to-have-forgotten-how-to-breathe kind of brokenness.) I truly felt by the end of 2013 that I was clinically depressed and I allowed very few people to see it. I pasted on a smile and cheerful demeanor each day and later would often break down crying when I was finally alone. Then everything I discussed in my last post (Part 2) happened. So where does that leave me now in Part 3 of this journey into the new year? My circumstances have not changed, but something inside me has. There are two very specific songs that came out recently that have been the best expression of how I feel now compared to last year. The lyrics of these songs can change your life; they contain the ability to move your heart into a new and deeper place with God. 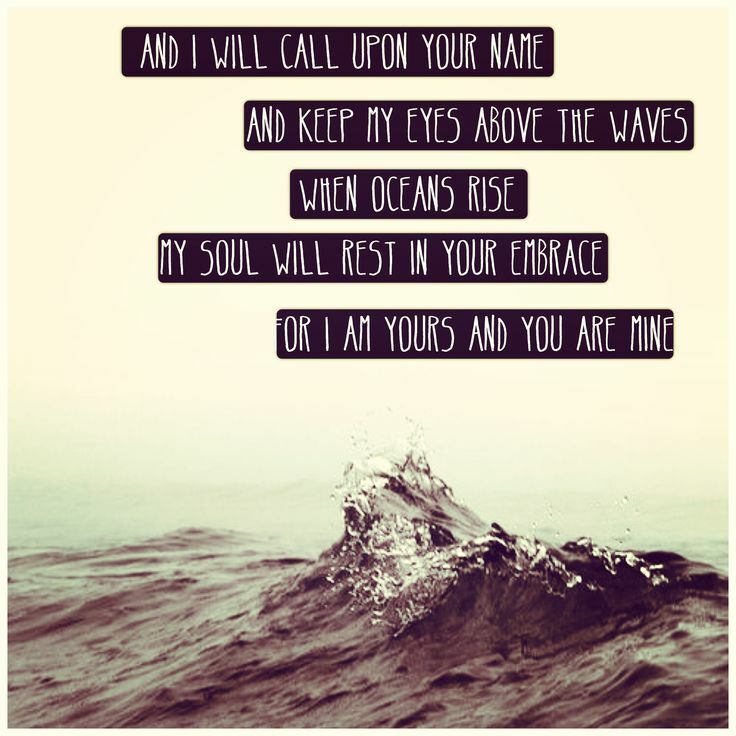 When I listen to or sing these songs (in the car at the top of my lungs when no one else can hear me, but myself), I feel my heart settle into a beautiful place of peace, surrender, and trust. 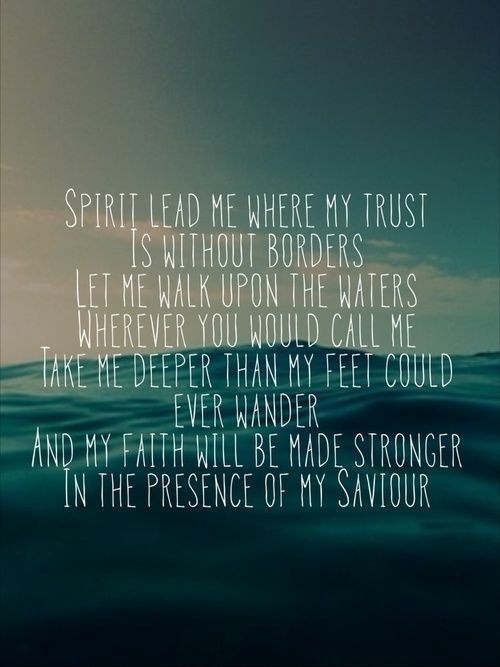 I am at the place in this new season of my life where I truly desire to be led out deeper onto the waters. The place where all I have left to look at is His face to keep from drowning. There place where all I have left to offer is a broken hallelujah. The place where I can raise empty hands up to Him and receive something beautiful from my ashes. The place where my trust doesn’t come with boundaries that keep everything comfortable and within my control. The place where I trust Him and nothing else to uphold me. This entry was posted in Uncategorized and tagged 2013, 2014, adult, ann voskamp, babies, baby, broken, cope, depression, fertility, future, God, hallelujah, hillsong, hope, infertility, jesus, joy, lyrics, mother, motherhood, new year, oceans, parenting, peace, pregnancy, pregnant, sadness, song, songs, struggle, surrender, the afters, trust, united, woman, womanhood.